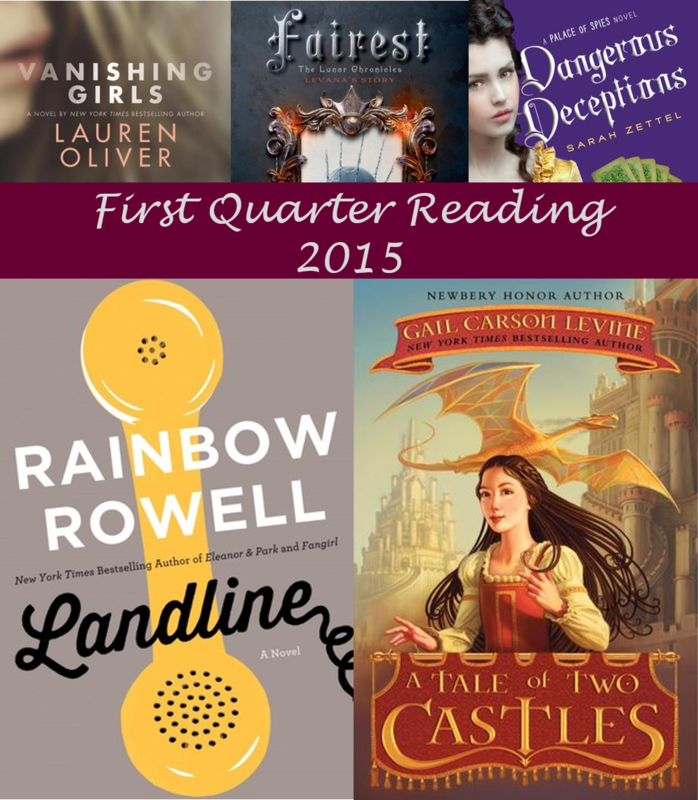 I'm linking up with Janssen of Everyday Reading and Dana of Something Good again to give a quick(ish) recap of last quarter's reading. I read 30 books in January, February, and March. The 9 audio books certainly helped. 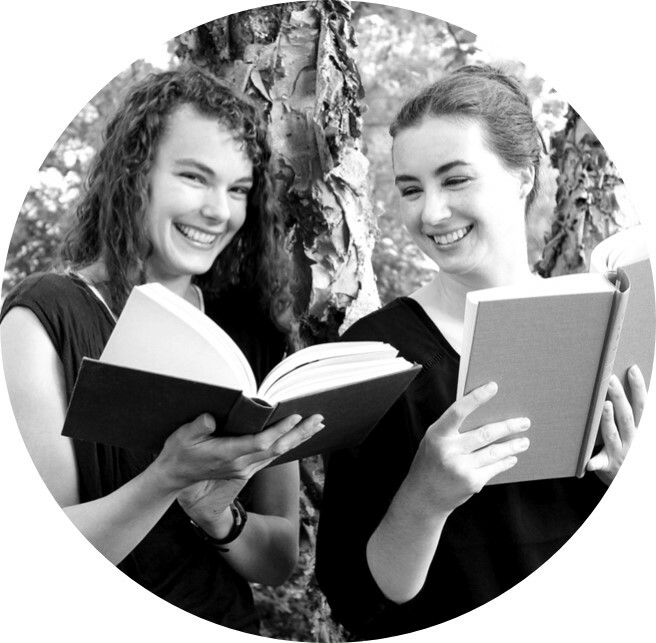 You have already seen many of these books on this blog. Others are slotted for upcoming posts (any guesses what the topics will be), and some you may never see on the blog again. A final Christmas story for the New Year. Sadly, not all I'd hoped for in a Sleeping Beauty retelling. Like many of its characters, this book left me bleeding on the floor. My favorite of the His Fair Assassin trilogy. A surprisingly surprising psychological thriller. Princess Academy collides with the French Revolution. A mash-up of The Amazing Race and Who Do You Think You Are. And it works. It had been too long since I'd read a story by the author of Ella Enchanted. Dystopian fiction crossed with X-Men. I'm a fan. Fabulously fun steampunk about a spy school for girls. Sisters and the aftermath of a terrible accident. Well, now we know how truly messed up and scary Queen Lavana is.Yikes. This tale about a smart, socially awkward girls whose parents die wraps up a little too neatly. I had to get this one from InterLibrary Loan. I'm glad I gave the series a second chance. 5-stars and much love for the conclusion of the Princess Academy Series. This book has a Da Vinci code vibe with secrets buried in artifacts and huge conspiracies. An impressive girl with a rock solid family. This book just did not work as a series conclusion for me, at all. Completely revived by love of the Shadow Study series. This book reminded me a bit of Tamora Pierce's Melting Stones. This book imagines what it would be like to grow up under the protection of Adolf Hitler. I can hardly even handle how exquisitely lovely this book is. This one reminded me a bit of Laini Taylor's Daughter of Smoke and Bone but not as fabulous. Annith's story has some rocky bits, but I'm glad I stuck with the series. I might read this series just for the awesome names. At its conclusion, I was so sad to leave this world and these characters behind. A sprawling vampire book for adults. After how long it took me to get through Shadow Scale I enjoyed this quick read. A great new novel about Scotland during World War II by the author of Water for Elephants.